Sydney Taylor (1904–1978) was an American author of children’s literature. She is best known for the five-part All-of-a-Kind series, which is based on her own large family and includes All-of-a-Kind Family, More All-of-a-Kind Family, All-of-a-Kind Family Downtown, All-of-a-Kind Family Uptown, and Ella of All-of-a-Kind Family. 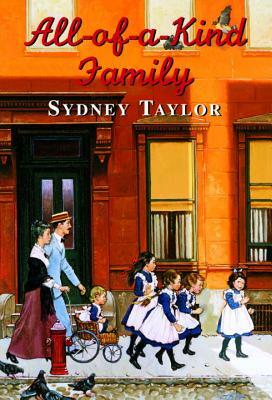 After her death, her husband established the Sydney Taylor Book Award in her honor.